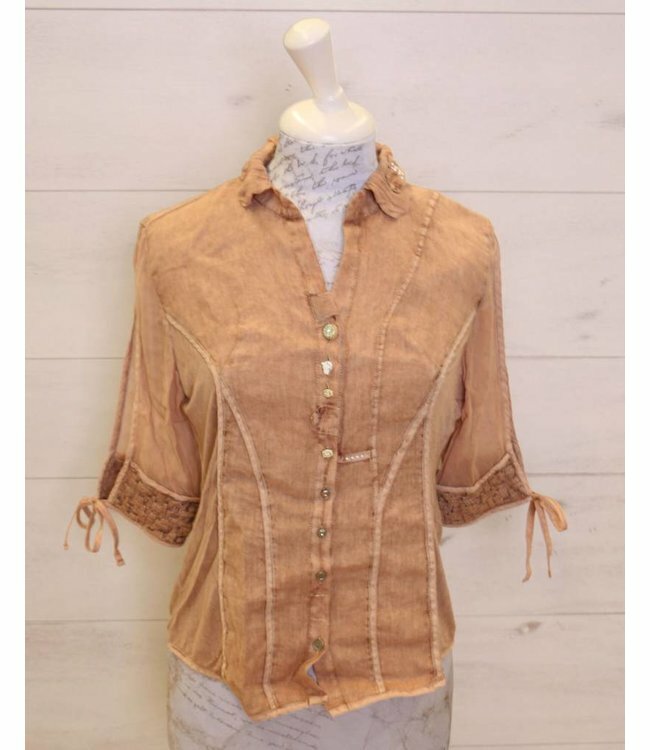 Romantic blouse, Deserto, with a faded finish, featuring a range of fabrics. The back is made from a slightly transparent fabric. The sleeves are open at the top and the cuff is tied with a ribbon. Embellished with various appliqués.